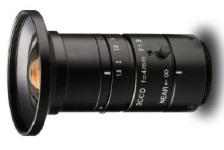 This lens was designed specifically for color imaging. Its low chromatic aberration delivers accurate color information for 3-chip cameras. This lens's megapixel resolution and low distortion preserve image detail. Length excludes optional M45 x .75 filter thread.